This post was written by Mami, Grade 10. My group mates, Jacky, Byte, Poom, Emily and I decided that we wanted to plant coral as our Service as Action project for this year. 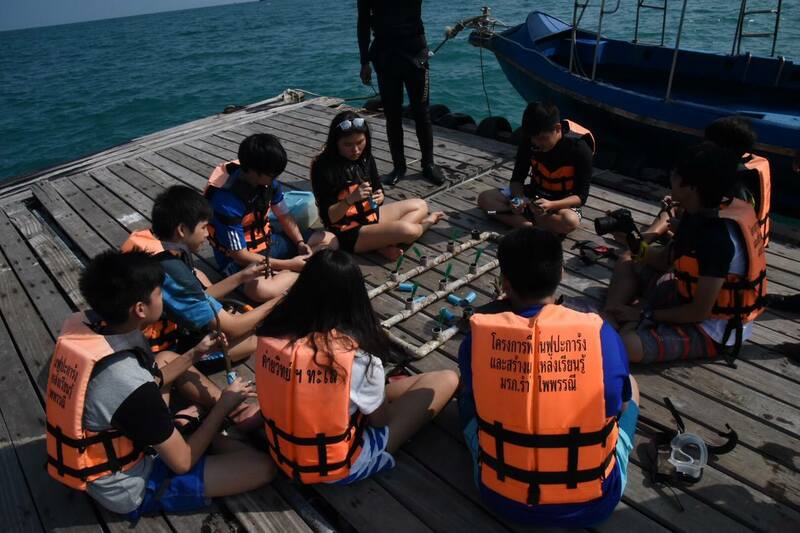 Therefore, over the February Break, we planned a day trip to Sattaheep, Chonburi for coral planting, along with six other students from CIS! We chose to do this as our CAS project because the oceans of Thailand are in need of coral. Before these organisations that help plant coral were established, coral bleaching was a very severe problem. Coral reefs were destroyed because of storms, people stepping on them, and pollution emitted from boats. 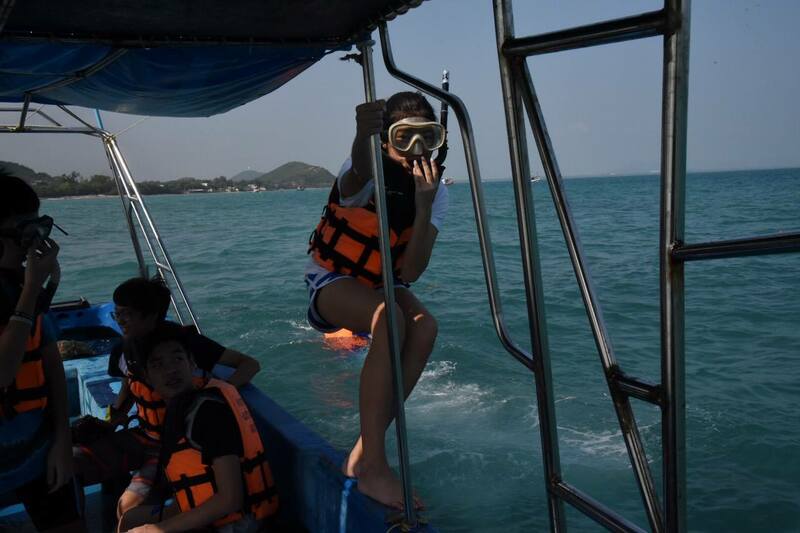 Because of this, we all decided to form a group to restore the corals that have been destroyed from the ocean of Thailand. We went on a boat with the project organiser’s staff to the middle of the ocean in Sattaheep to transfer on to a raft to plant corals. We did something we’ve never done before. First, we were all given a piece of coral to place in a pipe. After that, we had to quickly place it on the ocean floor since coral can only survive outside of water for so long. Before heading back to the shore, we took the opportunity to snorkel and explore the underwater life of Sattaheep. It was the best experience for us, we got to learn things that we have never learnt before, and we will surely come back here for more coral planting one day.